Visit us by clicking here. 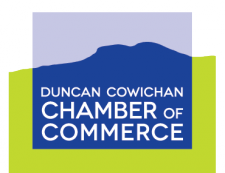 Literacy Now Cowichan is dedicated to improving literacy for everyone in the Cowichan Valley. We provide FREE one-to-one tutoring for adults wanting to improve their understanding in a wide range of literacies: Reading, Writing, Spelling, Math.Also, DIGITAL LITERACY using a computer, laptop, iPad, tablet, cell phone or smart phone and using the internet, email, Facebook and Skype. We help second language learners speak, read and write in English. We aim to help make sense of the modern world. From the Trans Canada Highway, turn West onto Trunk Road. After the train tracks, turn right on Canada Ave. Take the first left onto Station Street. We are at 80 Station Street.